In case Gov. Pat McCrory and legislative leaders haven’t heard, the Affordable Care Act is here to stay. The Supreme Court made sure of that last week by rejecting an absurd claim that Congress didn’t intend for the law to provide subsidies for people in states that didn’t set up their own health care exchanges and were instead buying coverage on the federal marketplace. Congress clearly passed the ACA to make health care affordable to people across the country, not just in select states. The law also provides strong incentives to states to expand Medicaid and cover millions of low-income adults who don’t fall within the classifications of folks currently eligible for the program, children, seniors, people with disabilities, etc. A factory worker laid off from his or her job in North Carolina is most likely not on Medicaid now and not eligible to sign up, left only to hope they don’t get sick or injured while they are looking for another job. Laid off workers in 29 states and Washington D.C. can sign up for Medicaid if they meet the income eligibility requirements because those states, several with very conservative governors, have expanded Medicaid under the ACA with the federal government picking up 90 percent of the cost. Leaders in McCrory’s own Department of Health and Human Services seem to support a Medicaid expansion plan, realizing that not only would it provide health coverage for 500,000 people in the state but it would also provide billions of dollars to North Carolina hospitals, many of whom are struggling to survive. Then there are the jobs. 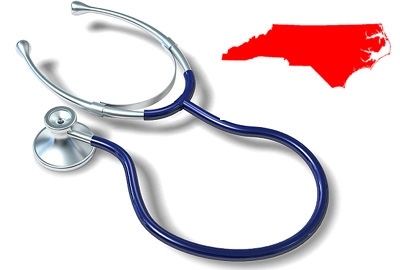 A study by the N.C. Institute of Medicine released last year found that expanding Medicaid would create 25,000 jobs in the state in the first few years of expansion and 18,000 sustained jobs after that. McCrory has so far resisted calls to expand Medicaid, though he struggles mightily to explain why. For a while he said he wanted a “North Carolina plan, not a Washington plan,” but states like Indiana and Arkansas have worked with federal officials to come up with their own versions of expansion. In fact, every conservative state that has proposed an alternative expansion plan has had it approved by the federal government. McCrory has never come up with one as far as anyone can tell. A few months ago he shifted his obtuse opposition to the challenge before the Supreme Court, saying the case left uncertainty about the health care law. Push away Governor but you might want to come up with a plan first, or release one if you have been working behind the scenes. House and Senate leaders continue to publicly resist calls for expansion too, more out of ideology and their dislike of President Obama than any factual reason, though they also say that North Carolina’s Medicaid system needs to be reformed not expanded. The Senate budget includes Medicaid reform provisions that push the state toward the Senate leaders’ ultimate goal of turning the program over to out of state for profit companies. The House has passed its own version of reform that allows providers to play a great role in managing the system. There’s nothing to prevent legislative leaders from including discussion of expansion as part of their reform efforts. That has also happened in other states. Lawmakers could expand Medicaid now. They could also include a plan from McCrory in their final reform package. Or they could come up with a plan of their own. The majority of people in North Carolina support expanding Medicaid like 29 other states have already done. They understand the benefits. The Supreme Court has spoken. There are no more excuses left.